When your digital download starts selling, the most exciting part is checking your sales report! In your sales report, you'll be able to see how many sales you've made, how much you've earned, and who, specifically, has purchased from you (as well as when they purchased, etc). Step 2: Once inside the product editor, click the "Sales" tab (this is the last of the three tabs). 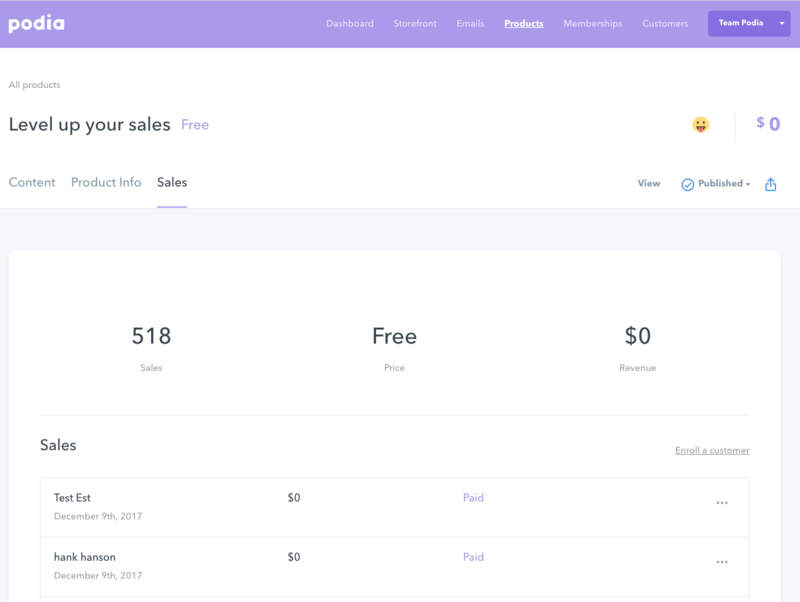 You can now see all of your sales (if you were to scroll down, you would see all of your individual sales).